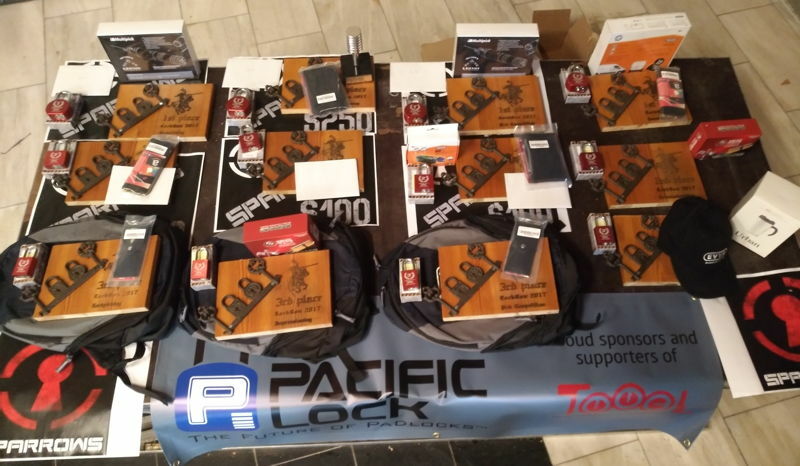 We pulled it off: we organized yet another very succesful LockCon! The ninth already. Because the hotel we went to last year was no longer available, we went to a new location: a real castle. Even though we had nice surroundings, great campfires and good beer, it was of course all about meeting others interested in locks! Many new friends were made, thanks to the excellent atmosphere and the small size of the conference (100 people at most, this time from at least 10 different countries). We also held the Dutch Open competitions in lockpicking, impressioning and lever lock picking. We were helped by many companies who sponsored. We say thank you to Abus, sponsored all the impressioning locks and keys (they did a great job with well-adjusted key bittings), DOM who sponsored some locks for the picking finals and the sponsors of some great prizes: Sparrows lockpicks (money vouchers), Pacific Lock (engraved locks), Multipick (electropicks and picksets), Tokoz (locks) and EVVA (marketing materials). The winners are: for lockpicking: Julian (1st), Decoder (2nd) and Martin (3rd). For impressioning: Jos (1st), Oli (2nd) and Manfred (3rd). For the Toool NL competition: Walter (1st), Decoder (2nd) and Jos (3rd). For lever lock picking: Tomás (1st), Julian (2nd) and Harry (3rd). Congratulations! Update: I just finished adding closed captions in English. You can try autotranslate to get subtitles in any language you like. It was a huge amount of work, but I feel this story is important enough to share with many people. Entries (RSS) and Comments (RSS). 43 queries. 0.319 seconds.